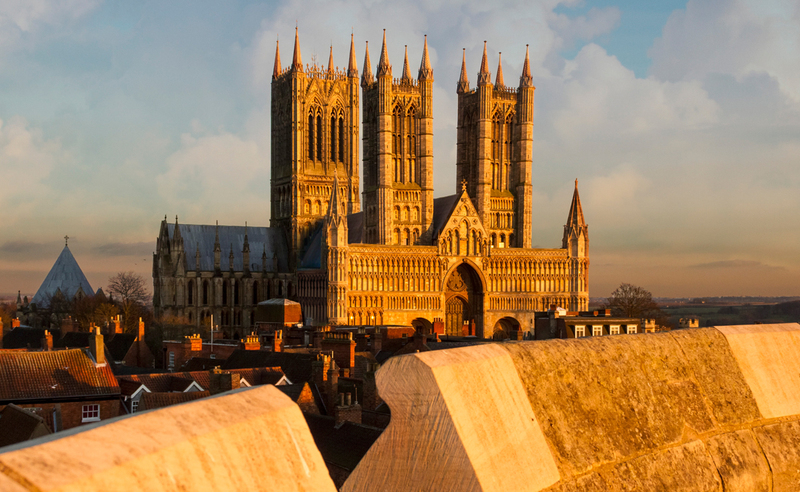 Once described by Victorian writer John Ruskin as "out and out the most precious piece of architecture in the British Isles and roughly speaking worth any two other cathedral we have", Lincoln Cathedral is not to be missed. 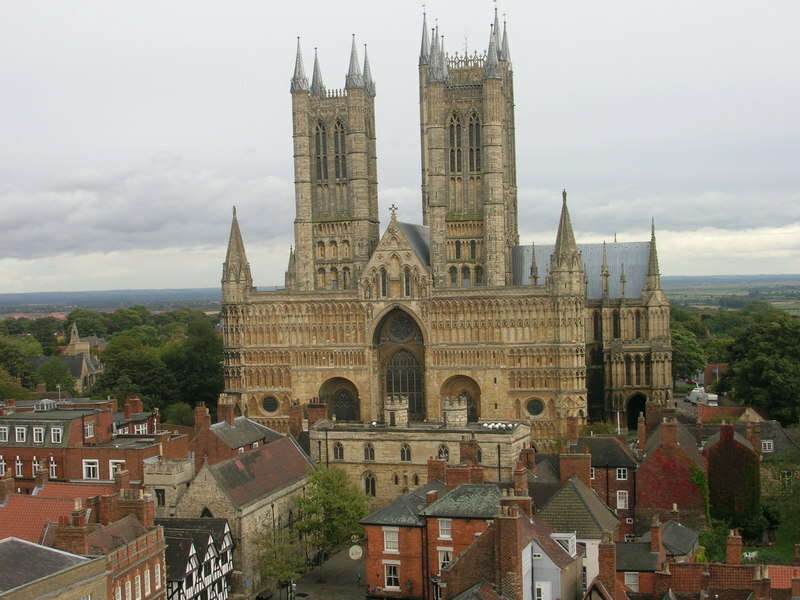 With the Norman invasion of Britain in the 11th century, William the Conqueror commissioned the building of Lincoln Cathedral and in 1092 it was consecrated, becoming the head of the largest diocese in England - extending from the Humber to the Thames. After fires and earthquakes had demanded rebuilding of some of the cathedral, it took on a Gothic style of architecture. When the central spire was eventually raised in 1311, it became the tallest building in the world. This lasted until 1549 when the spire collapsed. In spite of its size, the cathedral is filled with intricate detail. In Lincoln Cathedral the architects of the Gothic style perhaps reached the pinnacle of their art; it is an absolute must see for anyone visiting Lincoln. There is something for everyone to see at Lincoln Cathedral and children love seeking out the funny carvings - in particular the famous Lincoln Imp! MAGNA CARTA Lincoln Cathedral owns one of only four surviving copies of Magna Carta, signed in 1215 and brought back to Lincoln by the Bishop of Lincoln, which is now on loan to, and resides in, Lincoln Castle. There is a facsimile of Magna Carta that can be viewed inside the Cathedral, near the cloisters, with detailed interpretation. The west front is one of the great glories of Lincoln Cathedral, rising tall and wide like a sheer cliff of stone. The lower part, including the portals and tall niches, dates from the Romanesque period and includes some notable sculpture, including a frieze of Heaven and Hell from c.1140. The rest of the facade - the huge Gothic "screen" decorated with small blind arches - was added in the 1240s. The central tower rises to 271 feet and remains the tallest cathedral tower in Europe today without a spire. The tower originally carried a lead-encased wooden spire that rose 525 feet, but this collapsed in 1549 during bad weather. 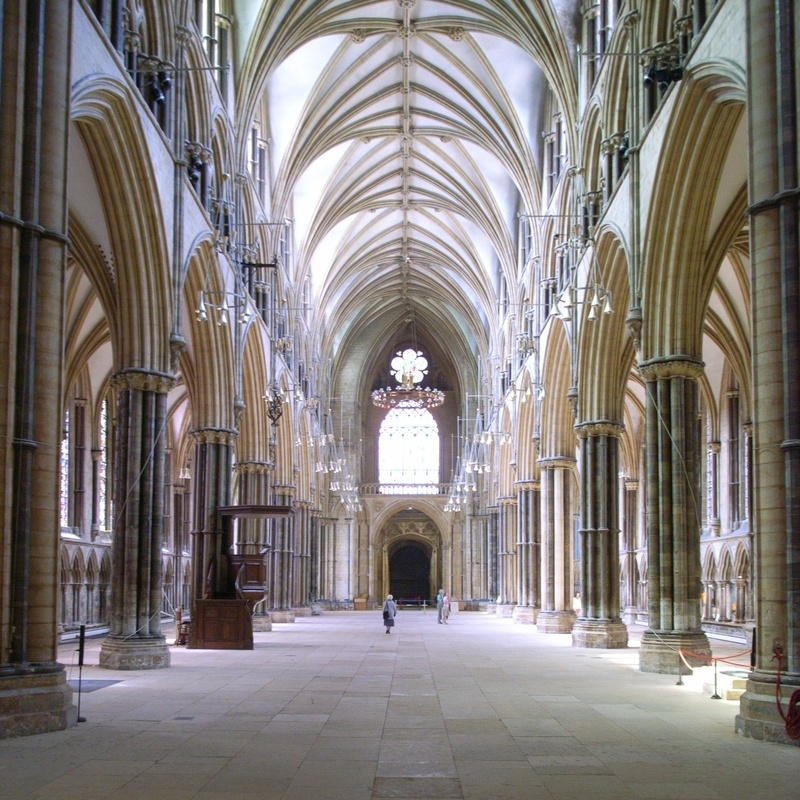 Lincoln Cathedral was the first building to ever exceed the height of the Great Pyramid of Giza, thereby becoming the world's tallest structure, and remaining that for more than two centuries until the collapse of the spire. It is well worth walking around to the back of the cathedral, especially in the morning, where there is a fine view across a manicured lawn to the cathedral's east end and the polygonal chapter house. Both date from the mid-13th century. 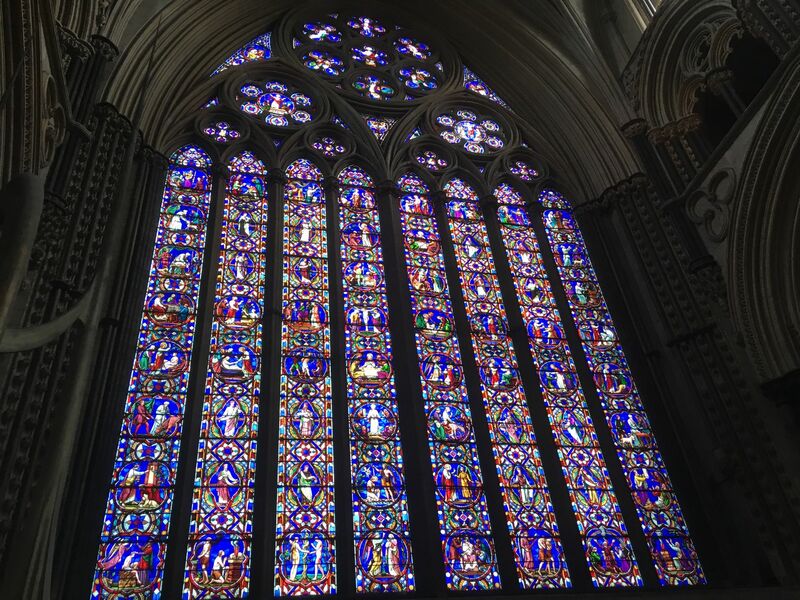 The great transept is home to the cathedral's two finest stained glass windows, rose windows known as the Dean's Eye (c.1220, north) and the Bishop's Eye (c.1330, south). The Dean's Eye still contains much of its medieval stained glass, which depicts the Last Judgment. St. Hugh's Choir, dating from 1360-80, is one of the finest choirs in England. Its beautifully carved wooden stalls include 62 misericords and many finely carved bench-ends. The choir screen or pulpitum separating choir from nave dates from the 1330s and contains fine carvings and traces of original paint. In the Seamen's Chapel (Great North Transept) is a window commemorating Lincolnshire-born Captain John Smith, one of the pioneers of early settlement in America and the first governor of Virginia. The library and north walk of the cloister were built in 1674 to designs by Sir Christopher Wren.